Mobile Bingo Bonuses love it when we’re given a huge choice of high quality games, so you can imagine our excitement when we discovered Spinzilla. Launched in 2016, this eye catching site brings everything the modern gamer needs. Whether you’re into scratch cards, casino or slots such as the favourites Starbust and Aloha, then Spinzilla will definitely have you covered. To make it even easier for us they have a filter system, so we can pick the category and theme of the games we fancy playing that day. With over 200 games you’re probably wondering how you’ll find time to play and the answer is on the go. Spinzilla offers an app so you can access a large number of games on your mobile and tablet devices. 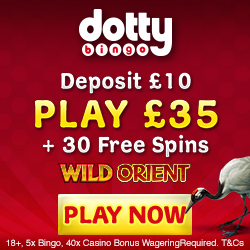 It’s not just the games Spinzilla are generous with, because they offer a raft of bonuses from the moment you register. As a welcome to the site you’ll receive £5 bonus credit simply for adding a few personal details. This credit is the perfect way for you to play around on the site, as a kind of try before you buy. 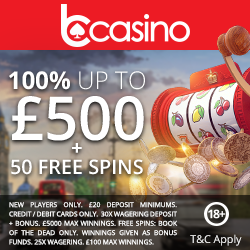 Even if you add the minimum deposit amount on each occasion, you’ll still receive £50 extra bonus credit; making a grand total of £100 to game with. Spinzilla know that friends like to talk and as such they offer their refer a friend bonus. If you tell your friend about this great site and they register and deposit, you’ll receive £10 bonus credit (cap of 15 referrals per month). Every time you wager you’ll receive a little something extra, because for every £2 you bet you’ll earn loyalty points These points can be converted into additional gaming credit, so even on your unlucky days you’re still a winner with Spinzilla. If you’re already clamouring to claim your £5 bonus credit, then let us take you through to Spinzilla.